Communities of Opportunity (COO) hosted Power in Partnership – an event to bring community partners together for an evening of celebration and relationship-building. 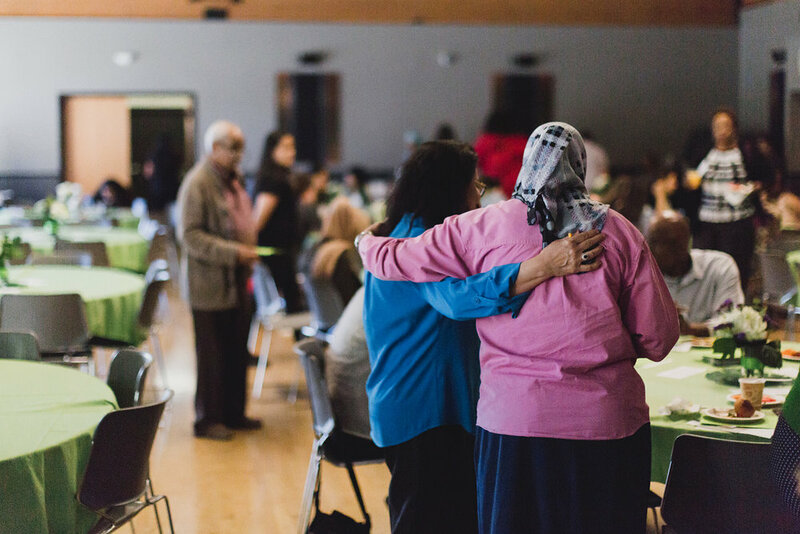 More than 75 community members from all over Seattle gathered at the Renton Community Center, where long-standing and newly funded partners were able to meet each other and gain a better understanding of the work taking place through COO. The evening began with community partners, governance group members, and COO staff alike introducing themselves to one another through an interactive game. Partners were also able to give feedback on a new COO website. Community partners’ hard work was also on display, with Food Innovation Network entrepreneurs providing delicious catering that showcased the cultural diversity of the COO community. Vivian Yi Huang, Organizing Director for Asian Pacific Environmental Network out of Oakland, delivers a powerful keynote speech. 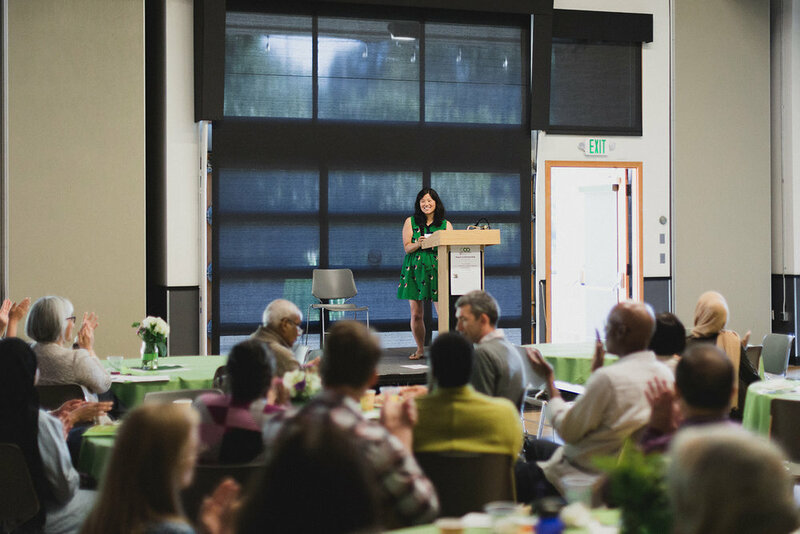 The event continued with an inspiring keynote speech by Vivian Yi Huang, the Campaign and Organizing Director for Asian Pacific Environmental Network. She shared her experience fighting for justice for immigrant communities in Oakland, and explained that even when going up against corporate giants such as Chevron, progress and success always comes down to community connectedness. The night capped off with more time for community partners to get to know each other as they discussed their reactions to the keynote, followed by a round of raffle giveaways. An upcoming Request for Applications will seek consultants to lead COO’s Learning Community. Through the Learning Community and continued backbone and implementation funding to support our three original place-based partnerships, COO will continue to foster the collaborative relationships and community unity celebrated at Power in Partnership.